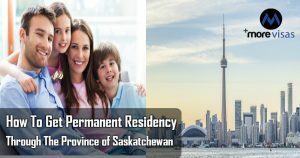 If you’re looking to get permanent residency in Canada and have decided to get it through the province of Saskatchewan, then you’re in luck. Saskatchewan is one of the provinces in western Canada that has a rapidly rising rate of population and a great growing economy due to people immigrating from all over the world. Moving to Canada is sure to be less of a hassle than is usually seen when migrating to foreign countries and especially to Saskatchewan through the Saskatchewan immigration nomination program (SINP). With this foreigners can apply for permanent residency with a way faster process than all other immigration classes. This is intended for those that are planning to live and work in Saskatchewan; it is also based on a point system. Under this category are three other categories which are Employment offer, Occupation in demand and Saskatchewan express entry. This category is designated for individuals who are in possession of different skill sets and are moving to Canada. The Saskatchewan express entry is for those who are already in Immigration, Refugees, and Citizenship Canada’s (IRCC) express pool. Also to be required is if the specific skill set and experience are in demand in Saskatchewan. This category is specifically for the foreigners working in Saskatchewan and living there. Under this category, there are five subcategories that you can apply under, and they are- Health professionals, Students, Existing work permit, Hospitality sector project and the Long haul truck driver project. When undergoing Canadian immigration, it is highly advised always to check the requirements and whether you’re eligible. Here we have a category specifically for people that are willing to run a business or farming operation in Saskatchewan actively. It’s noteworthy that Saskatchewan is famous for its pristine wildlife and its economy has its basis in agriculture. Under this category for those seeking permanent residency in Canada, there are just two subcategories to apply under, and they are the farm owners and operators subcategory and the entrepreneur subcategory. When applying for permanent residency under this category it should be known that it is intended for individuals who are experienced farmers with capital to invest in farming operations. And settle down in the province, in the same way, it is expected of those who decide to apply under the entrepreneur subcategory to take active roles in managing of their businesses. It’s for those who desire to invest, partner or establish a company in the province of Saskatchewan. Saskatchewan is a fantastic province to reside in, and what makes it more significant is the fact that the immigration process is not slow and complicated, Permanent residency in Canada has never been more comfortable. If you’re looking to move to Canada and need a great place to start, look no further than Saskatchewan the wildlife paradise.